This is a sponsored post written by me on behalf of Folgers. All opinions are 100% mine. Let’s be honest for a minute. I’m not a morning person. I’ve never been a morning person. So in order to combat my not-so-niceness in the morning, I started drinking coffee. Since my mornings are so busy multitasking with work and two little kids, I rarely have time to brew a whole pot of coffee or to drink it. My solution is instant coffee! My favourite mug says it all! 1. Instant coffee is easy to make. No one can mess up instant coffee, it’s literally the easiest thing ever to make. You just add hot water and mix! Of course, you can also add in your favourite flavorings to help make it even more delicious. Try adding some cocoa, cinnamon, or vanilla extract! 2. Instant coffee is… instant! As I mentioned before, my time is short, so instant coffee comes in for the win every morning. Not only is it easy, but it’s QUICK! In less than a couple of minutes, I can have my favorite cup of coffee done and ready to go. If I liked my coffee black, it would be even quicker, but I’m a double-double fan (that’s two sugars and two creams for my American friends). 3. The perfect size every time. I think one of the main reasons instant coffee rocks my socks off is that I can make whatever size I want. Some mornings I want a small cup of coffee (rarely), but most mornings I make a giant travel mug of coffee and take it with me to go. 4. An awesome shelf life. Ground coffee goes stale pretty quickly. Even roasted whole beans will go stale in a couple of months. But instant coffee has an awesome shelf life. I don’t have to worry about it going bad – it’s always there for me when I need it. Thank you, instant coffee! For those of you who work in an office, instant coffee may be the perfect thing to keep in your desk drawer since it’s portable and lasts a long time. 5. Instant coffee is budget friendly. While I enjoy my coffee, I don’t like spending a ton of money on buying it. I LOVE that I can get a cup or two of coffee every morning without spending a lot of money. I have actually added up how much it costs to buy a cup of brewed coffee from my local cafe, and for three cups I can buy a whole jar of instant coffee. Every once in a while, I love to make my own fancy coffee at home. Hot summer days demand iced coffee or a homemade frozen coffee drink with whipped cream on top. I can do that right in my own kitchen thanks to my instant coffee. 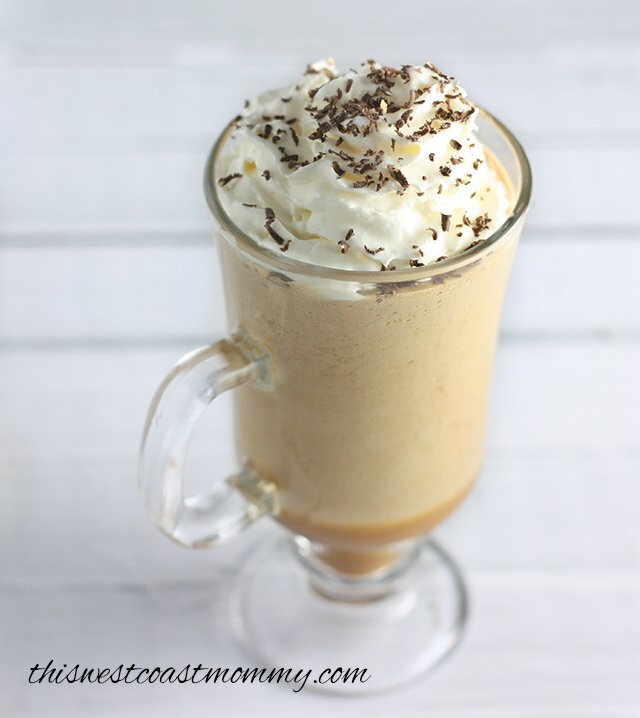 Check out these quick and easy Folgers Recipes made with instant coffee! 7. Instant coffee isn’t just for coffee! Not only does instant coffee rock my mornings, but I’ve been able to use it for several other things. For example, making coffee flavored cake or freezing ice cubes of coffee for a smoothie pick-me-up later in the day. I even used instant coffee to give an aged parchment look to the invitations for Tee’s Harry Potter birthday party. So clearly a jar of quality instant coffee is a must have around the kitchen. 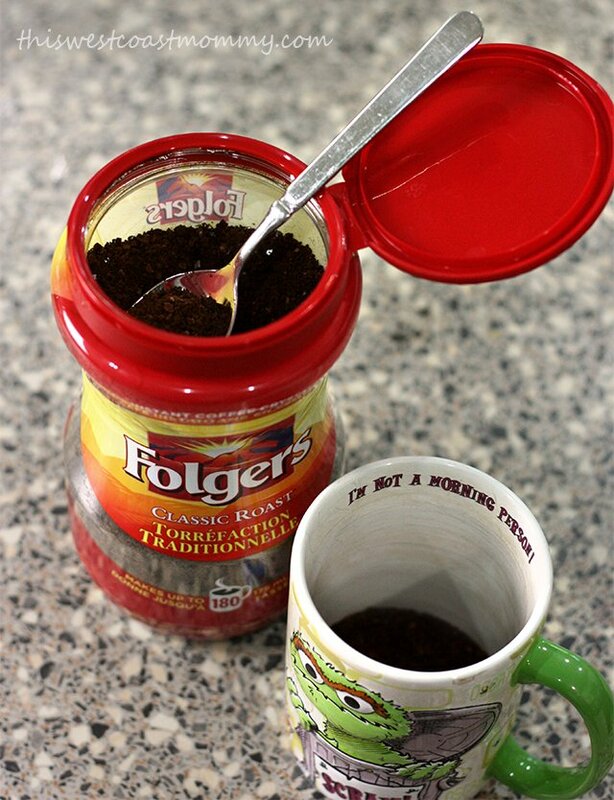 I buy Folgers instant coffee – the brand is a classic for good reason, and it’s easy to find in every grocery store. Trust me, you’re going to be thinking of even more reasons why instant coffee rocks your socks off! 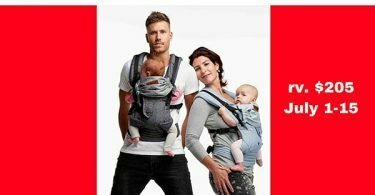 Can EnviroKlenz Get Rid of Cloth Diaper and Laundry Stink? I love using it in baking actually – it adds a real depth of flavour! Oooh, I never thought of creating coffee ice-cubes, that sounds awesome for iced coffee drinks! I always need my morning coffee. I used to drink instant coffee a lot before I got my keurig. It’s perfect for when you just want one cup! I’ve never thought of making delicious drinks with it! I have only ever used instant coffee in desserts, but that drink looks so yummy! This is something everyone needs to have on hand for those morning emergencies. There are some great ideas here in your comments section too on this post. I have used coffee and tea to age paper. The girls both know how to do this on their own which is comical actually. Well, this instant coffee is cheaper – there’s no question about that! I would never have thought of fancy coffees and iced coffees with instant coffee. Good idea. 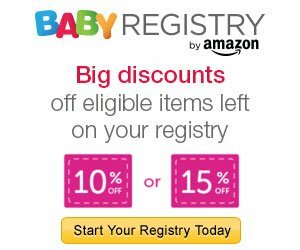 #1 – your mug is AMAZING! I love the idea of freezing it in ice cubes to make smoothies. That is something I will definitely be doing in the future!! I think the best thing you mentioned about Instant Coffee is that you can make it any size you want. That’s super important in home because in the morning you need an extra large but at night you need just a small so that’s a great feature of instant coffee!! 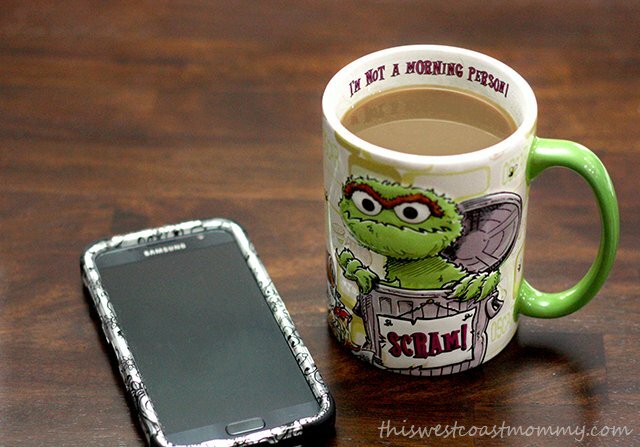 I also love your Oscar the grouch mug! I’ve never been a coffee drinker, but the longer I have children, the more I think I might become one. Nice Blog! Everyone need to start its day with the freshness and a strong coffee. And when you get the coffee instantly that makes your morning better makes you feel relief. Coffee vending machines are so in delivering coffee instantly & makes the job easy.